You can help make sure that museums are on the agenda in your riding during this federal election and that candidates are committed to supporting and promoting Canadian museums. Your action makes a difference in this campaign! To raise awareness of the contribution of Canada’s museums to the social and economic well-being of Canada and particularly your local community. To obtain the support of local candidates to develop and promote programs and policies that support Canadian museums and galleries following the election. We have developed, in consultation with you, our members, key messages that address the museum community’s current issues. These messages can be used in any situation and with any political candidate during the campaign. The most effective approach is to be non-partisan and to give all candidates equal opportunity to respond. Where Do Parties Stand on Heritage and Culture? We have written to the leaders of the major political parties, informing them of the museum sector’s key priorities and messages, and have asked them for their views on supporting Canadian museums. We will be posting each party’s responses as we receive them on this page. Make sure to check back with us soon! 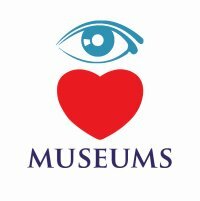 You can also write or e-mail your local candidates, and invite them to visit your museum to see first-hand the contributions it makes to the community, as well as understand your museum’s needs. And don’t forget, social media is a powerful tool. Engage in conversations about culture and heritage, follow local candidates and party leaders, ask questions… and then share with your colleagues! Need some help? Here are a few tips and ideas to help you. Your vote on October 19, 2015 will make a difference. Make sure you are properly registered to vote in the Federal Election by visiting Elections Canada’s website. It only takes a few minutes!